The REDD+ SES Initiative provides interactive learning and helps countries to share their progress and lessons learned through country visits, workshops, side events and webinars. Government and civil society actors from participating countries have the opportunity to share progress, challenges and lessons learned with other countries that are further ahead in developing their country safeguards approach. The REDD+ SES Initiative organizes annual exchange & learning workshops that provide a valuable opportunity for exchange between government and civil society practitioners about key issues that they are facing. Workshops use participatory methodologies for learning and exchange between participants on topics developing a country safeguards approach through a multi-stakeholder, participatory process, and developing a safeguards information system at different scales. The exchange and learning workshops have helped countries new to SIS develop their safeguards approaches more quickly and effectively, and also help countries with more experience to reflect on their progress and identify challenges and solutions. Since 2010, eight workshops have been organized bringing together more than 200 people from 20 countries, jurisdictions and organizations. The exchange and learning between countries that REDD+SES has provided has created a network of practitioners who are pioneering the development of practical and participatory approaches to SIS, who have been learning from each other. 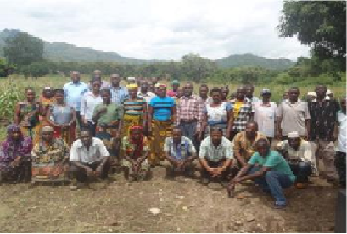 In January 2014, REDD+ SES organised an exchange visit for five people from DRC, from civil society at national and provincial levels and also from government, to Tanzania. The team was led by a civil society ISC member from Cameroon and hosted by a civil society ISC in Tanzania. The visit involved meetings at national level and in communities to learn about the process for developing social and environmental safeguards indicators based on REDD+ SES, and the experiences of community level management of forests and participation in REDD+. This is particularly relevant for DRC because a law enabling community forest management was finally passed in August 2014, although the application texts are still required for implementation. Exchange Workshop on SIS in Latin America, Mexico, July 2014 - REDD+ SES collaborated with IUCN to hold a Latin America exchange workshop on SIS that preceded the 7th REDD+ SES Exchange & Learning workshop In Merida, Mexico, in July 2014. This two day workshop provided representatives from government and civil society of Latin America countries with the opportunity to further exchange on their experiences and the challenges they are facing in the development of SIS. The report of the workshop is available here. 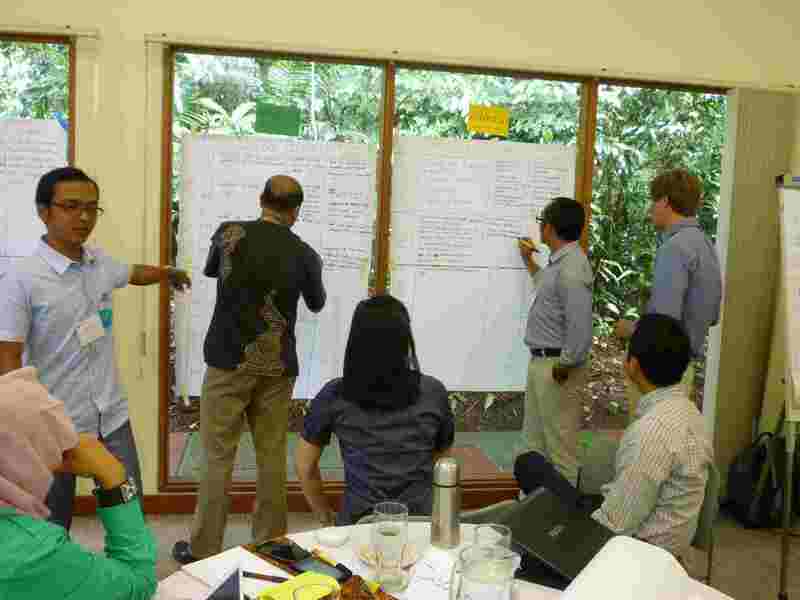 The experiences and lessons learned shared at these south-south exchange workshops were captured and shared in a summary of case studies, experiences and lessons learned about REDD+ safeguards information systems that was published by the REDD+ SES Initiative in August 2014. This summary helped to clarify a series of elements that countries are addressing in the development and implementation of SIS and shared concrete examples from countries implementing REDD+. The summary is available in English, Spanish and French. Workshop on Gender and REDD, Washington DC, May 2014 - In May 2014, REDD+ SES Initiative partnered with IUCN, UN-REDD, WEDO and USAID to organise a learning exchange on gender and REDD+ for 52 participants from 20 countries. The exchange helped to raise awareness of different approaches and experiences across countries and projects, and helped to motivate and build a network of practitioners to help us all to address gender issues in our REDD+ work. The workshop report is available here. Exchange Workshop on SIS in Latin America, Peru, October 2013 - REDD+ SES collaborated with Government of Peru, Government of Ecuador, USAID Initiative for the Conservation of the Andes Amazon, Conservation International Peru and UN-REDD to organize a workshop in Lima, 24-25 October 2013 that enabled 45 people from government and civil society in 8 countries of Latin America to share experiences and build capacity on SIS. Exchange workshop on safeguards between Peru, Ecuador, Colombia and Brazil, Peru, October 2013 - REDD+ SES collaborated with Government of Peru, USAID Initiative for the Conservation of the Andes Amazon, Conservation International Peru, WWF Peru, Rainforest Alliance Peru and UN-REDD Ecuador to organize a capacity building and exchange workshop on REDD+ safeguards in Madre de Dios, 21-22 October 2013. Representatives from the regional government of Madre de Dios y San Martin, civil society and Indigenous Peoples of Peru participated in the workshop along with representatives from Colombia, Ecuador and the State of Acre in Brazil who shared their experiences on developing and implementing REDD+ safeguards. The workshop report is available here. The REDD+ SES Initiative is promoting exchange on progress developing SIS and lessons learned through participation in side events organized during international events. The side event, organized by the Government of Sweden, Asia Indigenous Peoples Pact Foundation (AIPP), Norwegian Society for the Conservation of Nature, REDD Safeguards Working Group and REDD+ SES Initiative on 5th December 2014, provided a platform for discussion on the importance of the rule of law and strong national governance frameworks for implementation of REDD+, including for effective safeguards implementation and information systems, and for ensuring respect for rights and traditional governance systems of Indigenous Peoples to promote sustainable land management. Organized the REDD+ SES Initiative and CIFOR on 7th December 2014 in the framework of the Global Landscapes Forum, this discussion forum provided an opportunity to synthesize lessons learned from early REDD+ SIS implementation, and think ahead to monitoring and supporting REDD+ safeguards in the post-2020 climate regime, at a time when the Warsaw REDD+ Framework requires that countries establish safeguards information systems (SIS) in order for them to be eligible for results-based payments, which has placed safeguards higher on international and national REDD+ agendas and drawn more attention to future financing requirements of REDD+. Download presentations and watch the event here. The REDD+ SES Initiative collaborated with IUCN, UN-REDD and WEDO to hold a side event at the UNFCCC SBSTA meetings in Bonn sharing lessons and benefits of gender-responsive REDD+ programs drawing from the outputs of the workshop held just previously. The event generated a lot of interest and helped to raise awareness of the importance and benefits of addressing gender in REDD+ activities and safeguards. The REDD+ SES Secretariat presented progress and benefits from developing SIS in many countries at a side event organised in collaboration with the REDD Safeguards Working Group and Rainforest Foundation Norway. Representatives from Ecuador government and Panama Indigenous Peoples explained the benefits they are seeing from adopting a comprehensive and participatory approach to safeguards. The REDD+ SES Initiative participated in the side event organized by CIFOR, giving a key note speech about REDD+ challenges and opportunities from experience of social and environmental standards. The objective of this event was to provide a platform for discussion on implementation challenges experienced by REDD+ sub-national initiatives, and what can be done to overcome these. Download presentations and watch the event here. Organized by University of Twente, Wageningen University, Global Canopy Programme and Global Observation for Forest Cover and Land Dynamics (GOFC/GOLD) on 12th November (16.45-18.15 Room Torun at the COP venue), this event provided information about different monitoring requirements for REDD+ (sub-national performance, agriculture, benefit sharing, and particularly community involvement) by researchers and technical experts in the context of different country circumstances. This event provided the opportunity to present on community participation in safeguards monitoring for REDD+. The REDD+ SES Initiative and the Nature Conservancy (TNC) hold a side event at UNFCCC COP18 in Doha. Experts from Latin America, Africa, and Asia discussed international, national and local efforts to support social and environmental provisions in REDD+ programs. Through exploring international frameworks for safeguards and delving into national and local case studies, the presenters shed new light on opportunities to create effective national and international REDD+ programs that genuinely meet the needs of forest dwelling communities. Presentations were followed by a panel discussion.